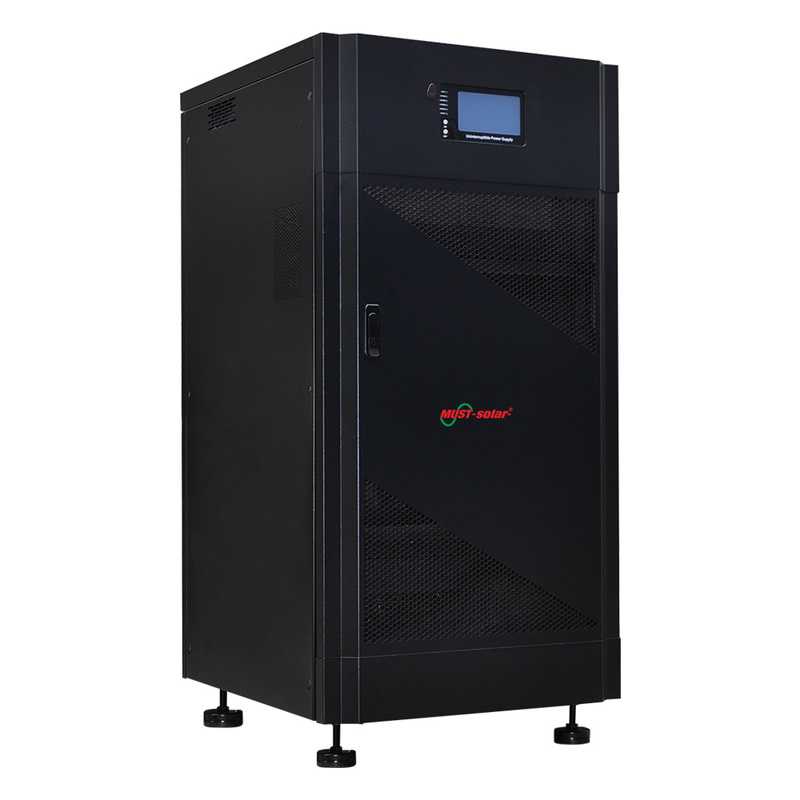 Its advanced battery charging system enables the UPS to supply a long backup time while the charging time is rather short, and its temperature compensation system can help to prolong the service life of the battery. Also, its circuit is simple, which reduces the number of components and makes the manchine more compact and more reliable.Its true double-conversion online technology provides pure and safe power supply to all appliances, communication equipment and important loads connected to the internet, and the DSP technology responds quickly to different power supply problems, making sure its load will work uninterruptedly.It is compatible to all kinds of loads and widely used in the fields of energy sources, transportation, office, medical equipment, engine-room, data center, toll station and so on. 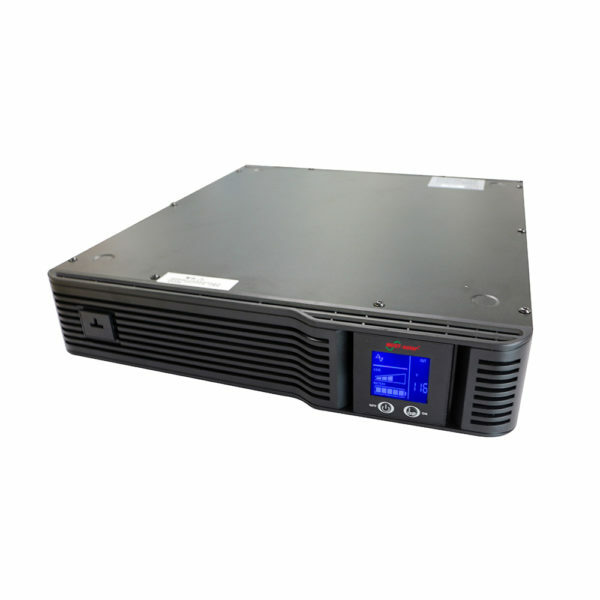 Powerful communication system(RS232. SNMP. GPRS). 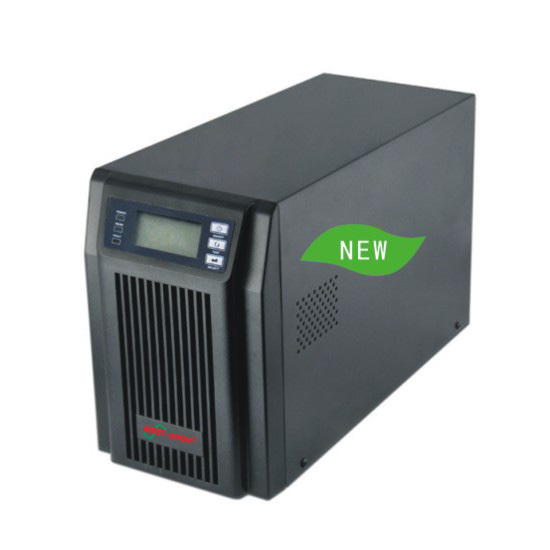 design technology true online double conversion, inverter based on igbt’s, 6 pulses rectifier, dry ISO transformer inverter side. technology rectifier 6 PULSES, immune to phase rotation for rectifier input. 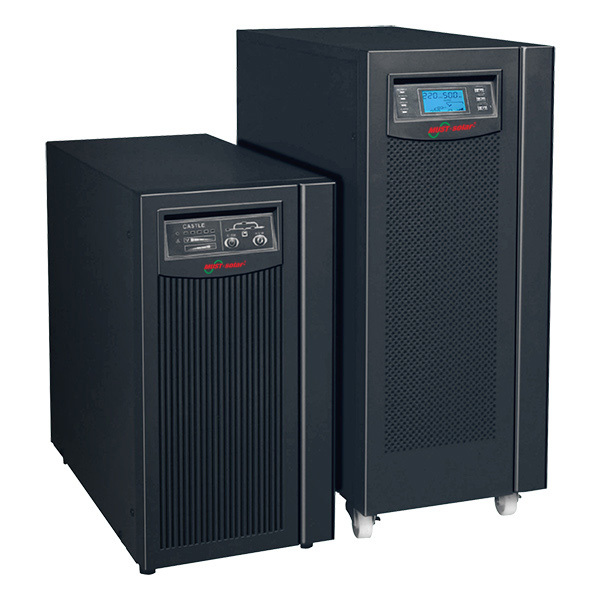 voltage regulation ± 1% for balanced load. Automatic Bypass static, solid state, 0 mseg for standar transfer, < than half cycle for failure transfer. Manual bypass Thermomagnetic breaker for manual bypass, uninterrupted operation in normal transfers. 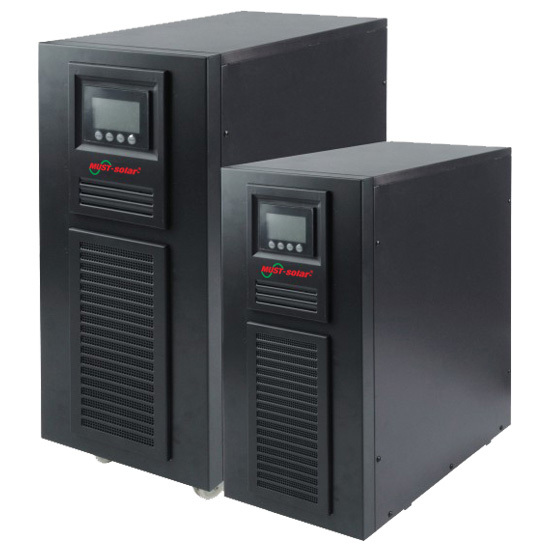 Protection and short circuit Fast fuse and termomagnetic input breaker (different of manual bypass breaker). Thermomagnetic protection Breaker protection. turn the system off when the battery is low. battery test. smart charger. battery management. 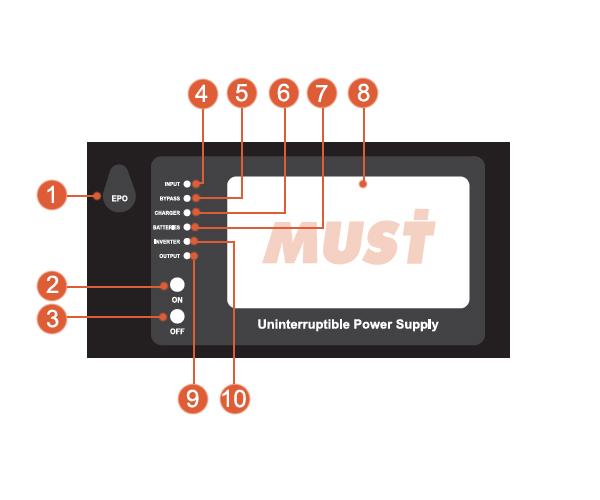 auto-test, adjustable battery transfer point and settings of alarm. charger soft start to full load. Adjustable current for charge batteries. hardware protection Thermomagnetic breaker for input, thermomagnetic breaker for output, thermomagnetic breaker for battery and thermomagnetic breaker formanual bypass, surge protection,fast acting bypass fuse, fast-acting fuses in dc and bypass, fan, redundant power supply, 5 zones temperature sensors, on-off switch, audible alarms. Sofware protection and warning Discharge batteries, manual shutdown Inverter, manual bypass switch active, emergency power off , manual shutdown, SCR failure, bypass rotation failure, bypass out of range, overload, low battery, low output voltage, high output voltage, DC fuse open, power supply 5v , power supply 14v, inverter overvoltage, overload greater than 200% , transfer failure, inverter voltage out of range, ground and neutral high, SCR inverter fail, UPS in bypass mode, low frequency, charger ON, inverter ON and others. alarms audible and visual alarms for non-normal conditions. communications rs232 serial port. Dry contacts, snmp-rj45 for remote monitoring (optional). gprs module for remote monitoring via GPRS network (optional).